We all want to see you pictures so here are the steps you can use. 1) Type the text you would like to see before the picture or your report. 2) Click on the "Insert Image" icon directly about the text box. When you click on this icon a box will pop up. How fishing truly is EPIC! Disclaimer - I have grammar issues. 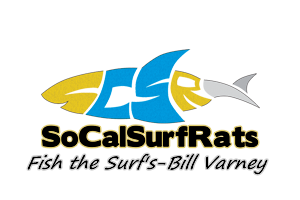 I started surf fishing in California after numerous years of fresh water bass fishing. I mostly focused on the large mouth species in Central California with my good friend Dave. We used to hit it pretty hard and do pretty good on the spots and largemouth.